Kristen Polletta was expecting it to be just another typical work day in autumn. As she drove along the busy roads of Providence, Rhode Island, she noticed something huddled on the roadside. Laying on the ground was mass of black fur with a pink collar on. Polletta’s heart went out to the poor animal, who was unmoving and appeared to have passed away. 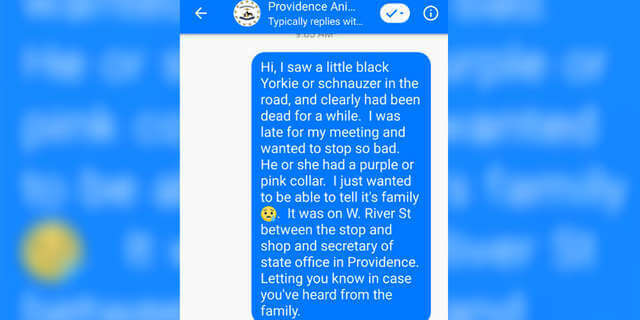 So as soon as she got to her workplace, she contacted the Providence Animal Control Center to report what she had seen, just in case the pup had gotten lost and had family looking for it. An officer was sent out to the area, unsure of what he would find as the area wasn’t particularly densely populated. But when he got there, what he saw wasn’t a dog at all. 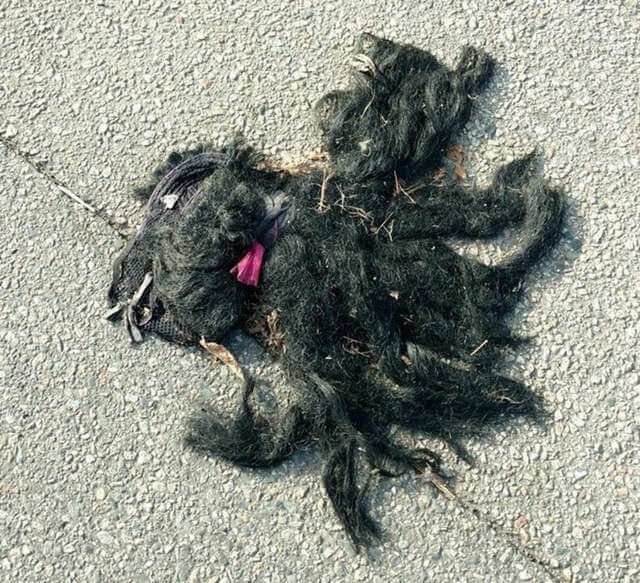 It was an extremely flat and shaggy wig with a pink hair tie still attached to it! 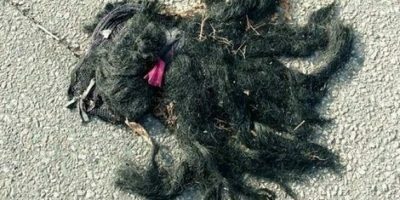 Erika Cole, the animal control director, was relieved and amused when her officer told her that it wasn’t a dog that had passed away after all – it was just a very unusual wig. Staff couldn’t help laughing at the ridiculousness of the situation, and they were definitely thankful it hadn’t been the tragedy they expected. This is the second time this center has received a false alarm that narrowly dodged being a depressing event. Over Thanksgiving, they got a call claiming that a disposed trash bag contained mummified kittens and deceased cat bodies! It turned out to just be a mess of stuffing and turkey bones. 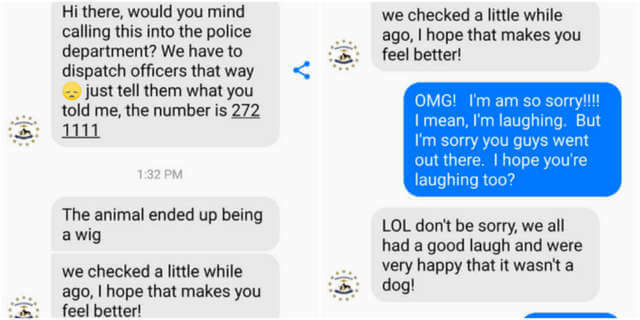 Even though this is a silly situation, staff are all too happy to respond to calls, even if they turn out to be false ones. It’s always better to be safe than sorry! What Happens When You Put Your Hand In Your Pup’s Mouth? Check This Out! This Adorable Pup Is A Freelance Psychologist! I’m Simply Amazed! Get A Dog’s Love Straight To Your Inbox! This Adorable Pup Is Super Excited And Proud Of Her Achievement! Check This Out! Adorable Pup Gets A New Toy, But At First He Wasn’t Too Crazy About It! What Happens When Your Pup Meets Poop Emoji For The First Time?! This Adorable Pup Is About To Taste Lemon For The First Time! This Is Epic! © 2019 A Dog's Love. All Rights Reserved.